The word genius gets tossed around very loosely in both sports and arts circles. It’s also often used prematurely, as though any one who enjoys any immediate success is somehow a genius and so much smarter than all their peers. Sunday there actually was a genius on display from a football standpoint, only it wasn’t the one who had been previously crowned one by much of the nation’s sporting press. Instead, it was the one who has truly dominated his sport for the past 17 years, and the person most responsible for the New England Patriots having now tied the Pittsburgh Steelers for NFL supremacy with six Super Bowl victories. No, that person isn’t Tom Brady, although he’s certainly at the top at his position, and arguably the best ever. But he only plays one position, and has no impact on the other side of the ball, the defensive end. 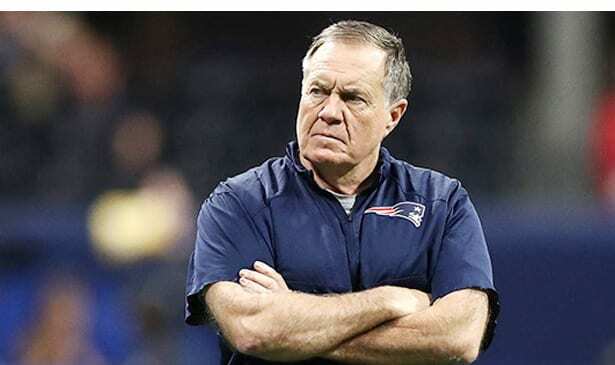 The genius we’re citing is Bill Belichick, head coach and general manager of the Patriots, and the man whose offensive and defensive schemes turned the Los Angeles Rams inside out and made them a non-factor the entirety of Super Bowl LIII, even though the final score was only 13 -3. But it was the lowest scoring Super Bowl in history, the first where neither team scored a touchdown till the fourth quarter. Indeed, the only reason the Rams even got on the scoreboard was a 53-yard field goal. The Rams never seriously threatened to score a touchdown, and this from an offense that averaged 30 plus points during the regular season. The Patriots defense successfully took almost every Rams offensive option out of the game. The lone exception was receiver Brandin Cooks, who had eight receptions for 120 yards. But the Patriots prevented him from making the touchdown catch that would have given the Rams the lead late in the game. Offensively, Julian Edelman proved the difference as he caught 10 passes for 141 yards. Brady repeatedly converted third downs by finding Edelman, despite the fact it was blatantly obvious he was the primary option and the Patriots’ best receiver. Edelman was voted the game MVP, and justifiably so, as CBS analyst Tony Romo repeatedly cited New England schematic adjustments and showed the Rams simply didn’t have any defensive answers to them. One of those was not opting to spotlight C.J. Anderson as the featured running back rather than Todd Gurley. Whatever the problem is, whether it’s injuries or mental, Gurley was awful in the Rams’ two biggest games of the year. They got by the Saints with some officiating help, but that wasn’t the case Sunday. Gurley was again invisible. The Rams’ star QB Jared Goff was sacked four times, hurried more, and completed 19 of 38 passes for 229 yards. The Rams only had 57 yards in the first half, and went through a stretch of punting nine straight times. Bill Belichick at 66 stands alone atop the pro coaching field. He’s the oldest coach to ever win a Super Bowl. The 3-0 halftime score was the second lowest ever, trailing only the even more abysmal 2-0 score that Pittsburgh had over Minnesota back in Super Bowl IX. For much of the game the only Rams’ highlight was Johnny Hekker’s 65-yard put in the third quarter. It was the longest in Super Bowl history, and his eighth in a little over three quarters, the most ever by a Rams team in McVay’s two seasons. No one knows how much longer either Belichek or Brady, who will soon turn 42, plan to continue. Brady has been quoted saying he’d like to play till he’s 50, which no one thinks he’ll reach. However considering just last year he passed for over 500 yards in the Super Bowl, and the fact he’s just led the Patriots to three more playoff victories, two of them away from the confines of New England, it would be foolish to conclude he’s not going to be effective for at least another 1-3 seasons. Belichick has also offered no timetable on when he plans to depart. But whenever that happens, it will be hard not to argue he’s surpassed all his predecessors, from Vince Lombardi to Chuck Noll to Bill Walsh. Certainly the fact he’s lasted so long at the helm has something to do with it, however it’s also clear he’s still a mastermind at crafting successful offensive and defensive schemes. Players and coordinators have come and gone, but Belichick’s still able to plug in different players and get the same results. As much as I despise the notion of declaring anyone the greatest in a team sport where rules have changed so radically, it is time to proclaim Bill Belichick the NFL’s all-time best head coach.